About the Author - Mommy, Daddy, I Had a Bad Dream! 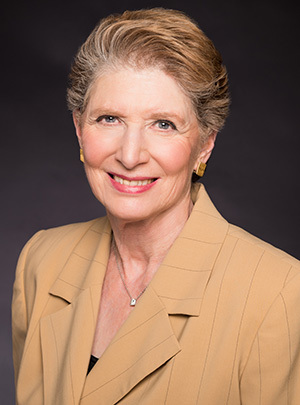 Martha Heineman Pieper, Ph.D. has helped children and their parents avoid the “discipline trap” by showing parents that it is possible to manage their children’s immature behaviors without punitive measures, such as time-outs and “consequences.” In her own practice, she has relieved the suffering of children with emotional illnesses, including “untreatable” adolescents and children who are diagnosed autistic, ADHD, bipolar, or just “oppositional.” Parents have responded enthusiastically to her groundbreaking understanding of child development, which leads to parenting strategies that are both kinder and more enjoyable for parent and child and, at the same time, more effective at producing adults who are compassionate, independent, and successful at work and in relationships. The Smart Love™ approach developed by Dr. Pieper eliminates power struggles between parent and child; shows parents that many behaviors commonly termed “willful,” “disobedient,” or “naughty” are actually age-appropriate and will be outgrown naturally; and explains why the disapproving responses advocated by many parenting experts actually harm children while simultaneously making the parent-child relationship unnecessarily conflictual and unhappy. Dr. Pieper assures parents that they do not need to worry about giving their children too much love and affection and that, in fact, the widespread advice to manage children’s behavior with disapproval and/or isolation causes children to develop needs for unhappiness that will haunt them in later years. Martha Heineman Pieper is the co-author with her husband of the bestselling parenting book Smart Love: The Comprehensive Guide to Understanding, Regulating, and Enjoying Your Child (Harvard Common Press, 2001, reprinted by Smart Love Press, 2011). For ten years the Piepers also wrote a parenting column, “Smart Love,” in Chicago Parent magazine. Dr. Pieper received her Ph.D. from the University of Chicago. Her work is the inspiration for Smart Love Family Services (www.smartlovefamily.org) which provides a broad spectrum of services to children and families, including counseling services, parent education, toddler programs, and a preschool. Dr. Pieper is the consultant to both the Smart Love Clinic and the Natalie G. Heineman Smart Love Preschool/Toddler Explorations. She has four children and two grandchildren. Her mother, who was the President of the Board of the Child Welfare League of America, is the inspiration for Dr. Pieper’s lifelong commitment to helping children and their parents live happier, healthier lives.